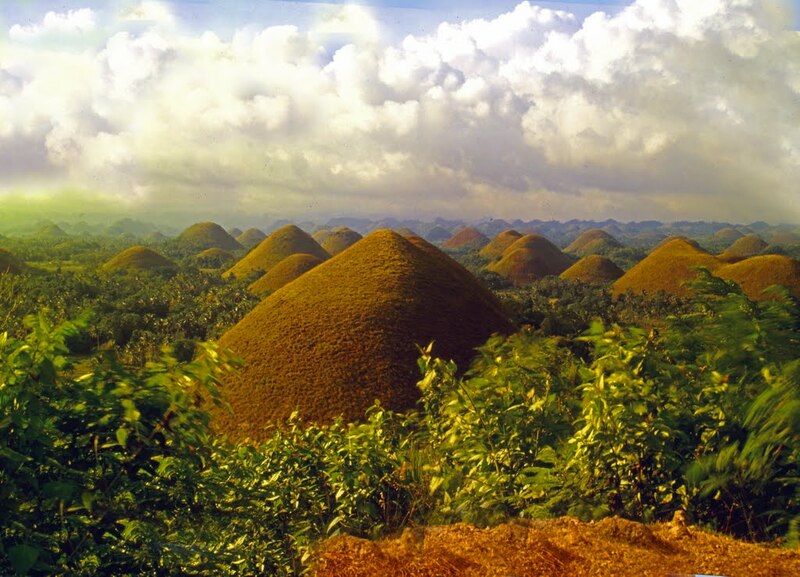 Mountains with their shapes resembling huge sweet truffles overlook Bohol Island – one of over seven thousand islands that make up the Philippines. Chocolate color range makes it resemble a desert even more; its ‘powder’ becomes apparent when sun starts ‘smoking’ its grass cover. Mountains decorate a huge plain, disappearing far beyond the horizon, because their quantity amounts to tens of thousands! ‘Truffles mature’ and acquire distinctive shade with autumn approaching. However, both tourists and locals come here the year round. When gathered on sightseeing platforms, people take pictures either pretending they are having a bite of huge sweets or jumping as if they are in Sugarland. No conclusive answer has been found to the question why it was here where the risings emerged. At first it might even seem that they are manmade – their shapes are too alike, as if a skillful sculptor created them according to a sketch. Scientific hypotheses as to those limestone mounds overgrown with grass vary from ancient volcanic eruption to digging into their oceanic past when they used to be in the bottom of deep waters. Filipinos disagree with scientists and explain the birth of ‘chocolates’ by means of legends. However there is no accord here, too. One of the tales suggests that the mounds emerged as a result of two giants fighting. Later the two hulks made peace and left the island each taking own track while the whole area, as a reminder of the heavyweight duel, was left covered in sand and stones that got covered with greenery. Another legend, a romantic one, is mostly told to loving couples; it also runs of a Gulliver who fell in love with a girl of the earth. When she died and an immortal leviathan was left in solitude, he was suffering and crying his heart out and it were his giant tears that turned into those mounds. There is a mention of chocolate in neither folk nor scientific versions. Locals even didn’t use to pay attention to the coloration of the altitudes at all. Tourists too used to simply enjoy gorgeous views of ‘emerald’ hills known as Carmen Hills until an American compared the small mountains, which changed their tint as autumn was at hand, to “Hershey Kisses” sweets with similar shape. 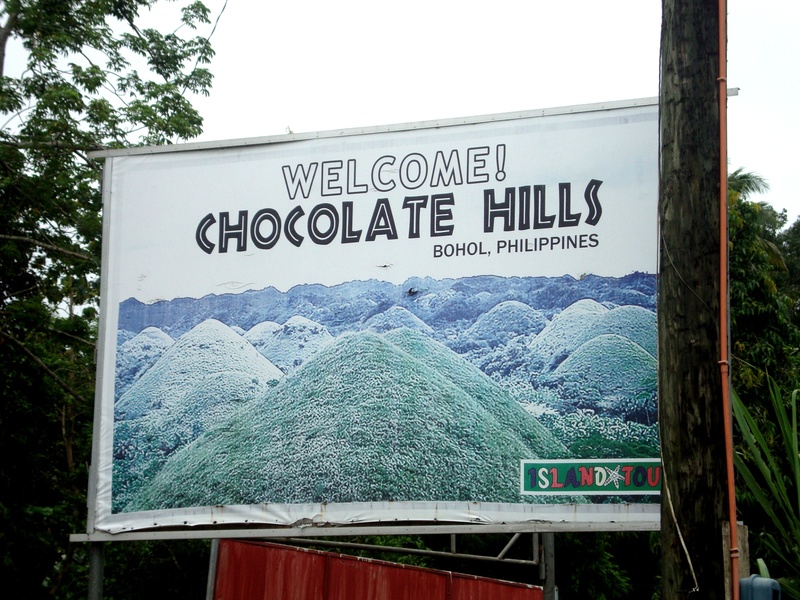 Thus the name Chocolate Hills stuck solidly to the area attracting travelers much better then the previous one.